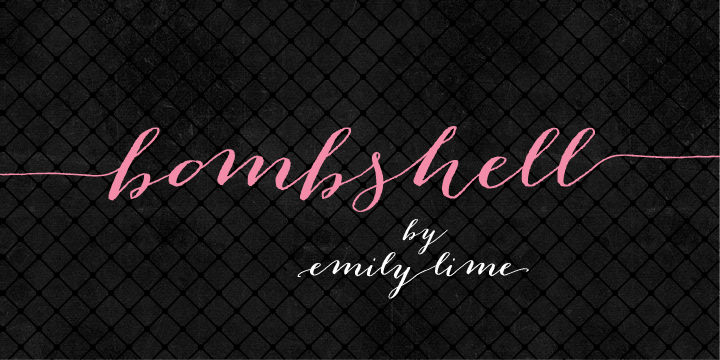 Bombshell is an awesomely designed handwriting font created by Emily Conners and published by Emily Lime. Featuring over 800 (!!!) glyphs including initial+terminal letters and alternates, Bombshell can create elegant calligraphy handwriting font with long connections between characters. This Bombshell font is a must have! A font description published on Monday, January 14th, 2013 in Emily Conners, Emily Lime, Fonts by Alexandra that has 11,775 views.